The all stainless Phoenix Filter contains six filter elements, and has an internal diverting valve which in turn reverses the flow to each element allowing it to backwash. This may be backed up with an external ball valve. 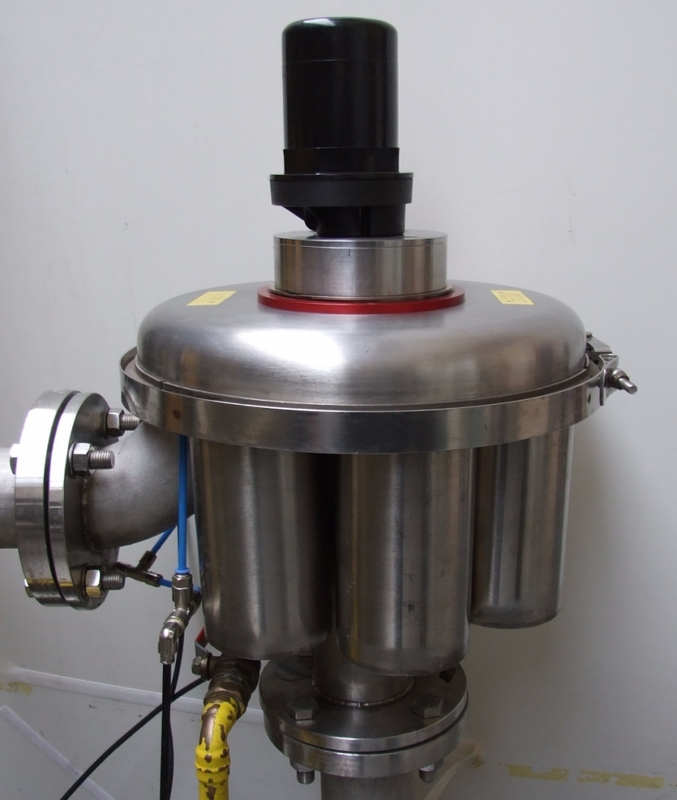 The Phoenix has 3" flanges and can operate at flows up to 18 l/s (65m3/hr). The backwash line is merely 3/4" (DN20), and flow is not interrupted during backwash. This is the simplest version of the Phoenix.It has the control system built into the control top, with a backwash button and three indicator lamps. The control system is all PLC controlled and can be operated from 12 or 24Vdc supplies. A differential pressure switch is always fitted, and there is a default timer built in to the PLC. 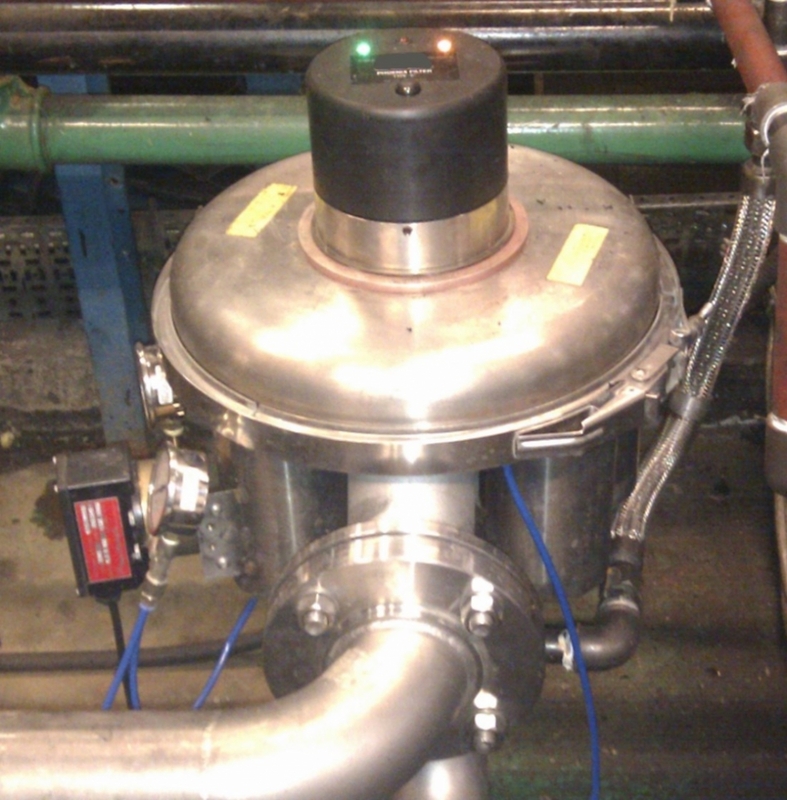 The type S Phoenixes uses an external actuator to rotate the internal valve, and keeps the controls in a separate IP55 enclosure which is mounted nearby. 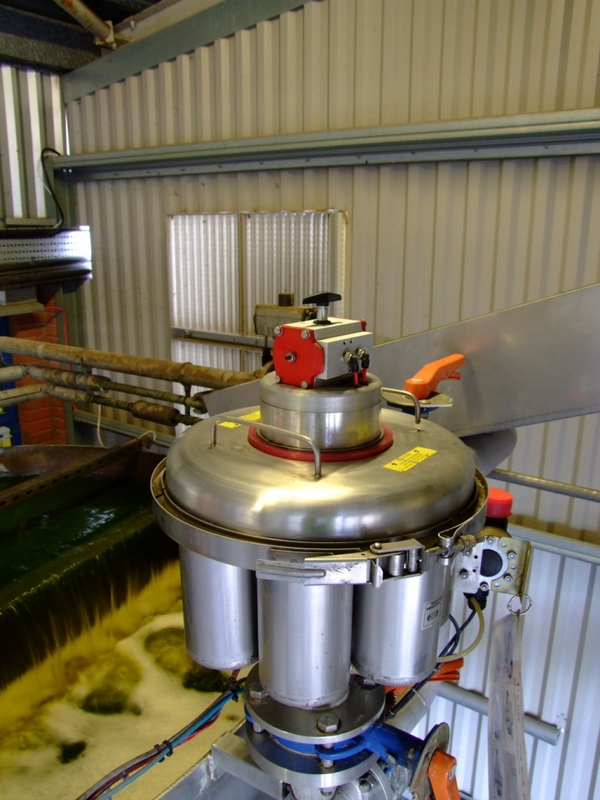 The design of the type S allows the top cover of the filter to be removed to allow access to the filter elements without removal of the actuator, so all the controls can remain water tight during routine maintenance. There are other versions of the Phoenix available with pneumatic actuation and other actuators. These are available on request. The standard Phoenix has a maximum operating pressure/temperature of 10 bar/95C.